Our Aphrodisiac Male Blend is a sensual mix of earthy, masculine essential oils, including Sandalwood, Ylang Ylang, Cedarwood and Frankincense. 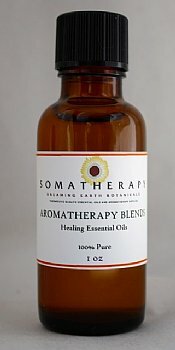 Dilute in a carrier oil for a sensual massage or diffuse into the air to create a romantic environment. Add this blend to our massage base for a sensual massage (use 1-2 drops per teaspoon or 8-10 drops per ounce), or add a few drops to a warm bath (diluted first in a carrier oil).